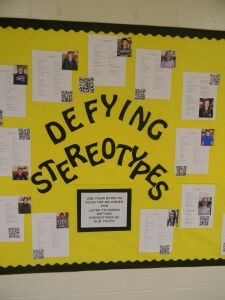 Drama and Broadcast teacher Mrs. Zwolle and Media Specialist Mrs. Baker recently teamed up to lead 8th grade Drama students through a study of stereotypes based upon ethnicity, gender, locality, and occupation in an effort to gain understanding of the role stereotypes play in dramatic production. 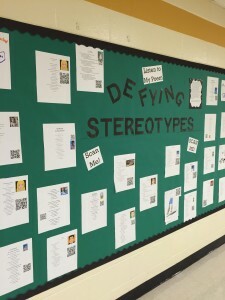 Students reflected upon how they might personally be typecast within society. 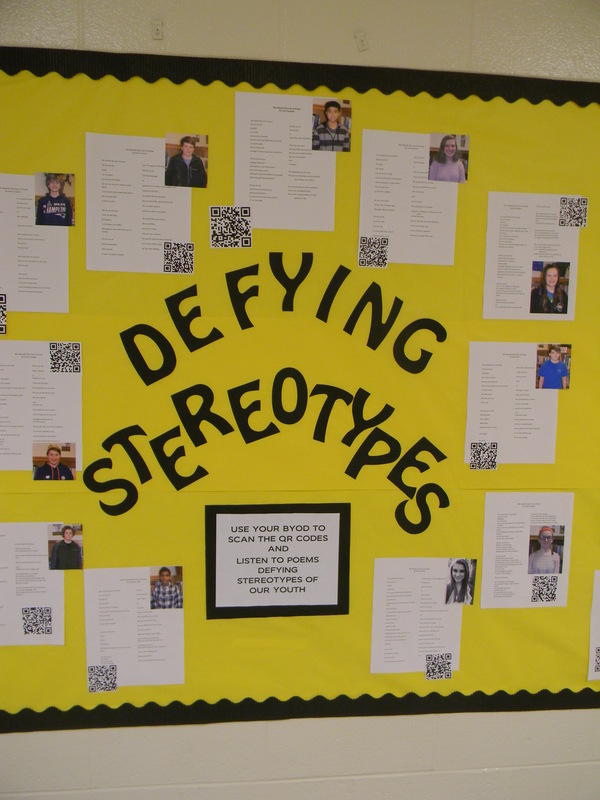 In opposition to those labels, they wrote poems modeling Latino feminist Ana Castillo’s “We Would Like You to Know” in which she dispels Latino prejudices. 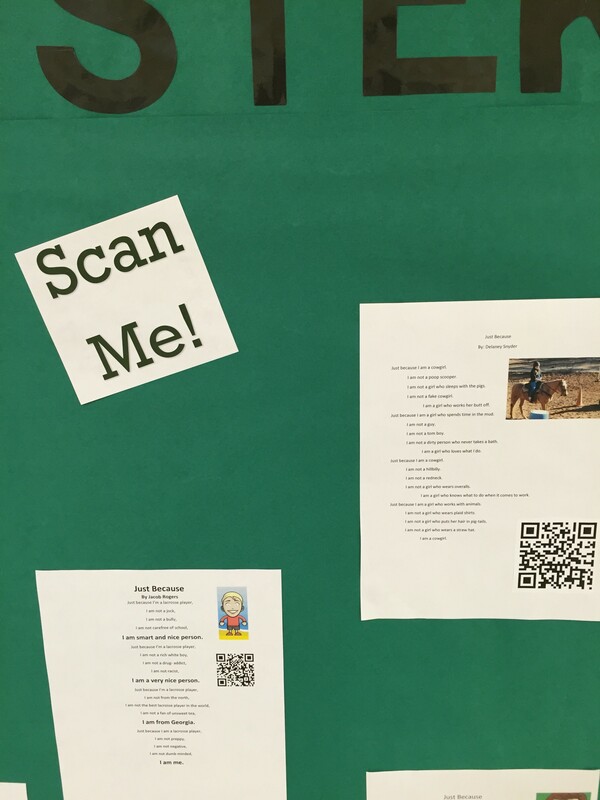 Students presented their poems in class, and then used Vocaroo to record audio recitations of their poems which they turned into QR codes. 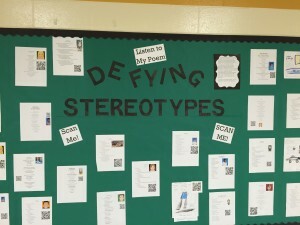 For additional resources on this lesson, check the related blog posts below. 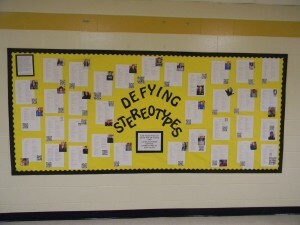 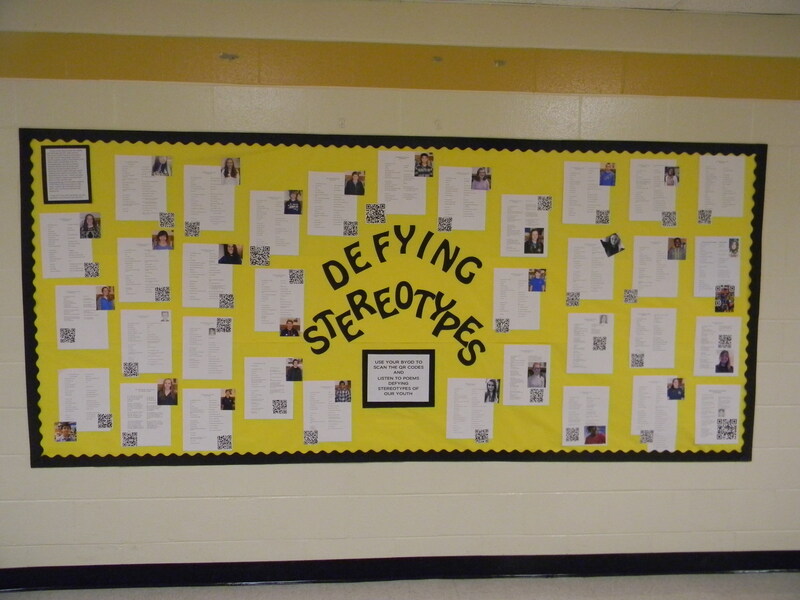 During the week of February 9th – 13th, Mrs. Baker and Mrs. Zwolle are teaming up for a collaborative lesson on stereotypes.